Hang glide over some of the world's most fashionable beaches in Brazil. Enjoy the natural riches of the Amazonia Rainforest and of the Brazilian Savannah. Wash your soul in one of the countless waterfalls in the heart of Brazil. Visit Brasilia, a unique city and world heritage site. Brazil is a land of extremes. From thundering rivers to breathtaking waterfalls, Brazil has vast untrodden rainforests and sandy shores stretching further than the eye can see. And the Brazilian people themselves are as colourful and exuberant as their country. Rio de Janeiro is almost legendary for its vibrant, party mood as well as its spectacular location between hills and sea. 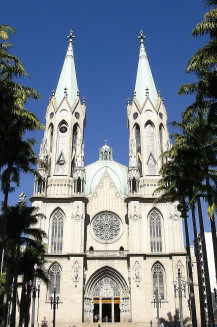 Salvador da Bahia is full of music, historic buildings and its perfectly preserved colonial heritage. This country's hostels are well positioned to take in the zest of city life as well as the natural wonders of the Iguazu Falls, the glorious coastline and the wildlife-rich wetlands of the Pantanal. With everything from succulent barbecued meats, and a Brazilian take on the luscious chocolate truffle, to the deep-fried deliciousness of acarajé, and the superfood powers of acai, Brazil's cuisine will have your tastebuds dancing along to the Samba playing in the background. Chapada Diamantina is one of Brazil’s most glorious national parks, with plenty of options for hiking and trekking through gorgeous valleys, mountain plateaus, and enchanting caves. Before you go, check out these top 10 tips to make the most of your trip. 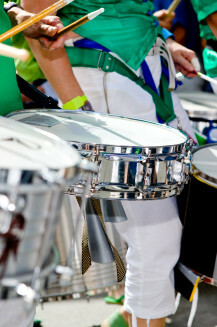 Carnival in Rio is the country’s largest celebration and draws in people from all over the world, connected by the unifying beats of the steel bass drums. 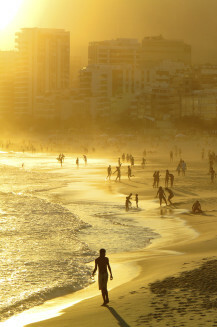 Here’s the lowdown on everything you need to know about carnival in Rio. It's no surprise that a bikini cut is named after Brazil — the country is not only rife with beautiful beaches, those beaches are also a huge part of its culture, especially in Rio. Here are 14 of the best in the country.